St. Louis Cardinals Hacked Into Houston Astros Computer? Astros GM Jeff Luhnow isn’t very password savvy. Saint Louis prides itself on its baseball team. They’re huge baseball fans in that part of the world, and they’re alwasy very proud of the way their team conducts itself and the way the team behaves. Sure, fans might get a little blue, but the orgainzation does things the right way, according to them. Not according to the authorities. The FBI is investigating the St. Louis Cardinals for hacking into the Houston Astros computer system. You know it’s serious business because the FBI and the Justice Department are both getting involved in the investigation. The Houston Astros aren’t even in the same league as the Cardinals, but just the same, they apparently logged into the Houston computer system to get their hands on scouting information, trade evaluations, and other secretive materials. 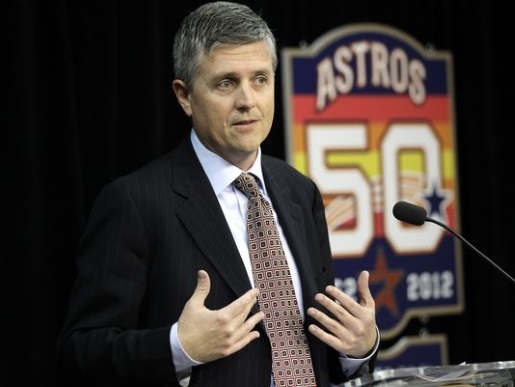 Astros GM Jeff Luhnow was hired away in 2011; while with St. Louis he built a computer database called Redbird to store all that information. He built a similar system in Houston called Ground Control, and the Cardinals used the same passwords to hack into the Ground Control system from the home of a Cardinals employee. Yeesh, turns out that’s a federal offense, assuming it’s true. Good luck with that, Cardinals front office.